As national anti-doping organizations are calling for Russia to be banned from the 2018 Winter Games, despite WADA admitting that the evidence against Russian athletes was not sufficient for suspension, RT looks back at the scandal which rocked Russian sports. The controversial doping scandal has been running for almost three years and has had a huge impact on Russian national sports teams. Here are the milestones of the scandal that turned the lives of Russian Olympic and Paralympic athletes into a nightmare. In December, 2014, German broadcaster ARD aired its first documentary ‘The Secrets of Doping: How Russia makes it winners,’ alleging systematic doping and corruption in Russian sports and claiming that Russian track and field athletes were taking banned substances under instruction from their coaches. The documentary was largely based on testimony of Russian athlete Yulia Stepanova and her husband Vitaly, a former Russian anti-doping official. Despite knowing that his wife was doping, the couple’s revelations came only after Stepanova had been banned for two years for breaching anti-doping rules in 2013 and the Stepanovs fled to the US. Kremlin spokesman Dmitry Peskov chimed in, saying that the allegations stem from attempts to politicize sport, and urged people not to apply this situation to all sports in Russia. “Attempts to politicize sports or turn it into a political tool to achieve specific goals are destructive for international sports, [and are] unacceptable and inexcusable,” Peskov said. 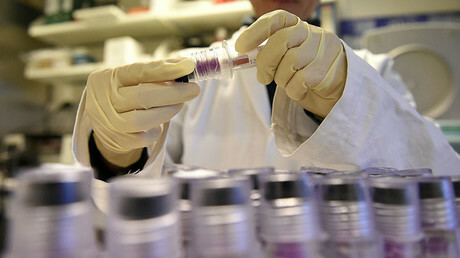 Following the report, the Moscow Anti-Doping Laboratory of RUSADA was suspended, but the organization still was able to perform tests through independent laboratories. Following the report, the International Association of Athletics Federations (IAAF) voted to suspend the Russian Athletics Federation (RUSAF), imposing a blanket ban on the track and field team. The move banned the entire team from international competitions, including the Rio Olympics in 2016, regardless of doping records and without any investigations. Head of IAAF Lord Sebastian Coe named “verifiable change both in anti-doping practice and culture” as the main criteria for the removal of the Russia ban. While Russia promptly embarked on a path to reform the country’s anti-doping systems, new allegations were produced in May 2016 by former Russian laboratory chief Grigory Rodchenkov, who had been fired from his post, and published by the New York Times. The former official was initially mentioned in the German documentary, where he was accused of selling banned drugs to athletes and covering up cheating. WADA also said that Rodchenkov destroyed more than 1,400 samples to cover up violations. Despite denying all the accusations back then, Rodchenkov left his post due to pressure from the authorities, as he claims. Soon after the WADA report, he fled Russia and moved to the US. The claim was dismissed by Russian athletes, who said that sports and drinking do not mix and that they would not have been able to compete. In December 2016, Russian President Vladimir Putin said that WADA informant Rodchenkov made a private business out of doping. “He was constantly bringing it [banned substances] to Russia, made a personal business on it. He made others take it and use it and if anyone refused… he’d sanction them,” Putin said. Rodchenkov’s allegations, despite lack of evidence, triggered another WADA investigation, conducted by a commission of Canadian lawyer Richard McLaren. Release of the report in July 2016 was preceded by a leaked letter from the US and Canada anti-doping agencies (USADA) to WADA urging the organization to impose a blanket ban on the Russian Olympic and Paralympic teams. The second part of the report, which came out on December 9, 2016, also claimed that over 1,000 Russian athletes participating in summer, winter, and Paralympic competitions had benefited from an alleged plot to conceal positive doping tests. After the IOC decision, the Russian track and field team could not participate at last year’s Summer Olympic games in Brazil, as the International Association of Athletics Federations (IAAF) issued a ban. The athletes had to individually contest the IAAF decision and appeal to the CAS (the Court of Arbitration for Sport). They attempted to prove that they were clean from any prohibited drugs, fighting for their right to take part in the Olympics up to the final hours before the start. Russia was finally deprived of more than a quarter of its contestants, with just 286 from the original 387 going to compete in Brazil. The International Paralympic Committee (IPC), however, adopted WADA’s “recommendations,” banning the entire Russian Paralympic team from the Rio Olympics. “We couldn’t understand what this decision is based on. Most likely, it’s about the McLaren report [on doping], but that report doesn’t give any data about the Paralympic athletes at all. There is only one table which says that 35 doping test bottles were lost,” Vladimir Lukin, the president of the Russian Paralympic Committee, said. The questionable move was condemned by the Russian athletes. “I think it’s horrible. I’m very sorry for the athletes who have gone a long way and overcome a lot and, in the end, have been banned from this competition, probably, the competition of their lives,” said Aleksandr Lesun, Olympic champion in modern pentathlon. Some alleged that the ban on the Russian Paralympic team was aimed only at removing a strong competitor. “I have looked up the results of the previous Paralympics. We had some 30 gold medals there, and the team that came in second had only five or six gold. I think this can be [the reason],” said Abdulrashid Sadulaev, 86-kilogram men’s wrestling champion at the Rio Olympics. The Paralympic team released a video showing their daily struggle and hard training, stating that despite the ban, they would still hold their heads high. “People often get upset over little things and curse fate when what they should really do is smile. People have no idea what real despair means and how easy it is to just be happy,” the athletes said in the video. It took the agency more than a year to realize that McLaren’s 2016 report on alleged doping by Russian athletes is “not sufficient to bring successful cases,” the IOC said in February 2017. Earlier in February, hacktivist group Fancy Bears, known for their hacks of WADA medical data on international athletes, revealed documents showing the IOC was not satisfied with the proof in McLaren’s reports on Russian doping. In one letter, the agency asked McLaren over 50 questions about 16 of the accused. This week, WADA closed its investigation regarding 95 of the 96 Russian athletes implicated by McLaren, as the report “simply may not be sufficient evidence required to sanction.” The agency also said that “the only evidence available is what Professor McLaren could unveil,” according to an official email response to a request made by RT. Acknowledging Russia’s efforts to work with international sports organizations to solve pending issues, in June 2017, WADA has allowed to partially resume RUSADA’s operations under supervision of international experts and UK Anti-Doping (UKAD). The decision followed the replacement of the two-time Olympic pole vault champion Yelena Isinbayeva at head of RUSADA. WADA included her removal as one of the main criteria for RUSADA to be declared compliant, citing Isinbayeva’s links to the Russian Olympic Committee as a reason. Some of the world’s leading national anti-doping organizations (NADOs) are now calling for Russia to be banned from the 2018 Winter Olympics over alleged state-sponsored doping. ROC Vice President Stanislav Pozdnyakov said that the committee finds these statements regrettable. “This is not the first time this group of anti-doping agencies fuels the hysteria over the Russian team’s participation in Pyeongchang,” he said. WADA has criticized the group’s calls, saying that they disregard “entirely all the work that has been done to develop a proper [anti-]doping system in Russia,” according to the agency’s president, Sir Craig Reedie. 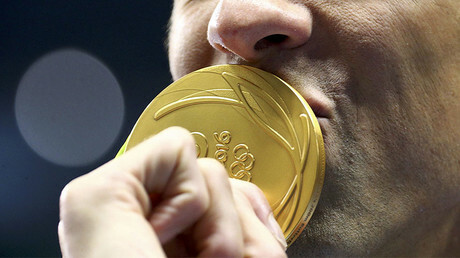 He also said that the statements of the anti-doping leaders do not represent the policies of WADA. The Russian Paralympics team, meanwhile, remains banned from the upcoming Winter Paralympics as the IPC upheld its ban. Russian athletes can only qualify under a neutral flag in four sports: alpine skiing, biathlon, cross-country skiing and snowboard. A new review of the blanket ban on the Russian team will be conducted by the IPC in November.